Since their earliest form in Bradford during 1981, the band has had various line-ups, but the longest serving band members are vocalist Ian Astbury and guitarist Billy Duffy, both of whom are the band's songwriters. After moving to London, the band released Love, which charted at #4 in the United Kingdom, and which included singles such as She Sells Sanctuary and Rain. 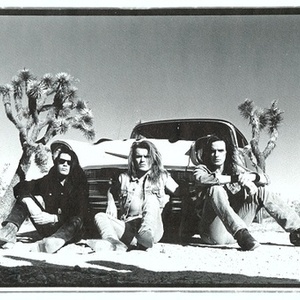 In the late 1980s, the band adopted a more hard rock and glam rock-infused sound with Electric, the single Love Removal Machine, and the album Sonic Temple, which enabled them to break into the North American market. By the early 1990s, the band was fraying behind the scenes, due to alcohol abuse and off-stage tensions, leading to a split-up in 1995. Between 1999 and 2002, the band reformed to record the album Beyond Good and Evil, and they reissued all of their albums in Asia and eastern Europe in 2003 and Japan in 2004. In 2006, the band reformed again to perform a series of worldwide tours. In October 2007, the band released the album Born Into This, on the Roadrunner Records label. In August 2009, The Cult embarked on the world Love Live tour, playing two sets: the first set is the Love album in its entirety, the second set consisting of songs from their extensive hits catalog. On September 14, 2010 the band released a new "Capsule" which included CD, DVD, Vinyl and USB formats and featured the new tracks "Every Man and Woman is a Star" and "Siberia". On November 16, The Cult released "Capsule 2" featuring "Embers" and "Until the Light Takes Us". In 2011, The Cult ? Astbury, Duffy, drummer John Tempesta and bassist Chris Wyse ? recorded Choice Of Weapon, the band's ninth studio album and first in five years. Scheduled for a May 22, 2012 release in the US and May 21, 2012 release in the UK, Choice Of Weapon was recorded for ten months, beginning in March 2011 at studios in New York City, Los Angeles, the band's Witch Mountain studio, and the California high desert. Since the album's announcement, the band has released single Lucifer for stream and sale. The Cult is working on film and graphic elements to accompany the album's release, and plans are being confirmed for the band's 2012 World Tour.